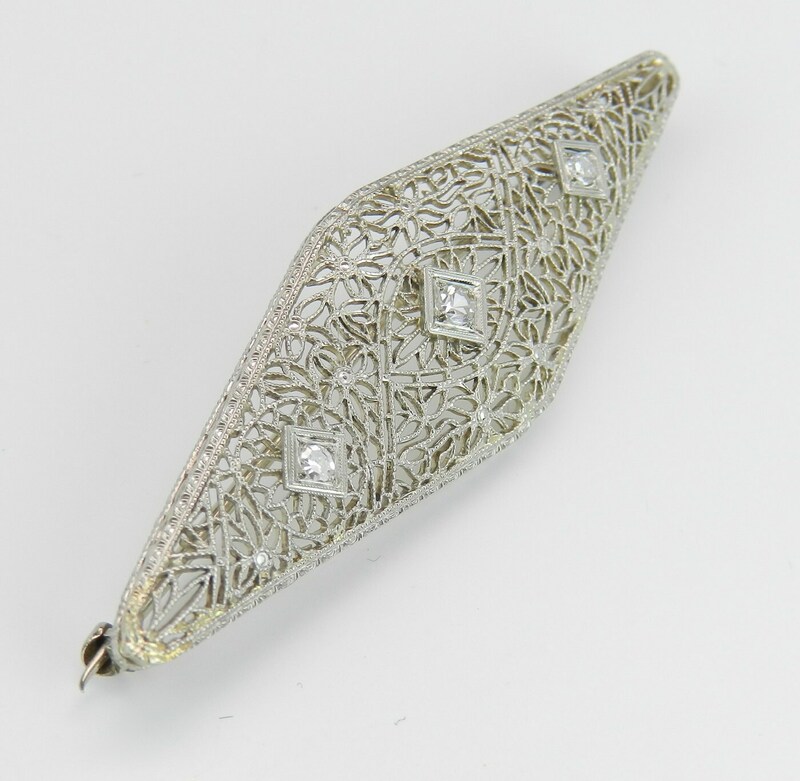 14K White Gold Antique Art Deco Filigree Diamond Brooch Pin. 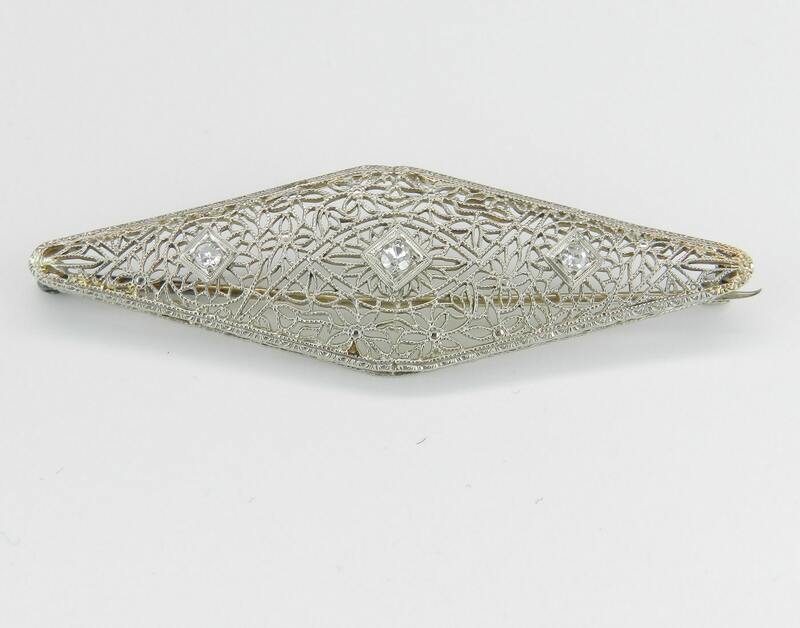 This pin has a unique filigree design and is set with three natural Round Old Miner Diamonds. 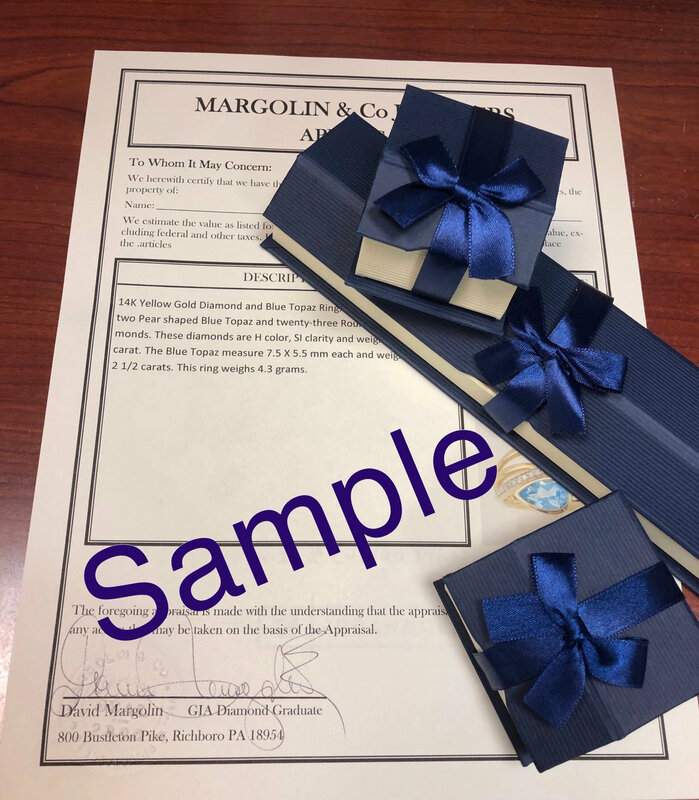 These diamonds are G color, VS clarity and weigh a total of .18 carat. 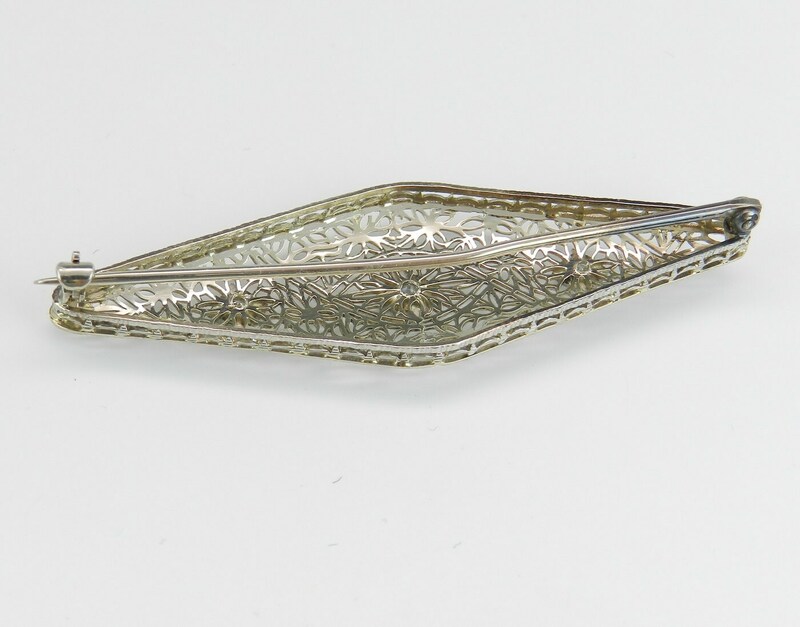 This brooch is made of 14KT White Gold, weighs 5.1 grams and measures 61 mm in length and 17 mm in width. 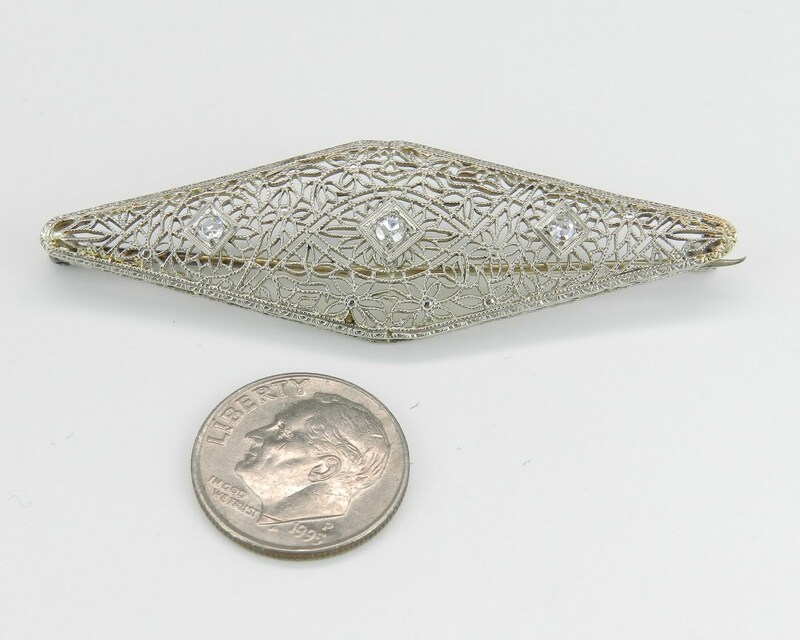 This brooch will also be accompanied by an appraisal by a GIA Certified Diamond Grader with the replacement value of $1,785.00. I will ship this pin promptly in a beautiful gift box.